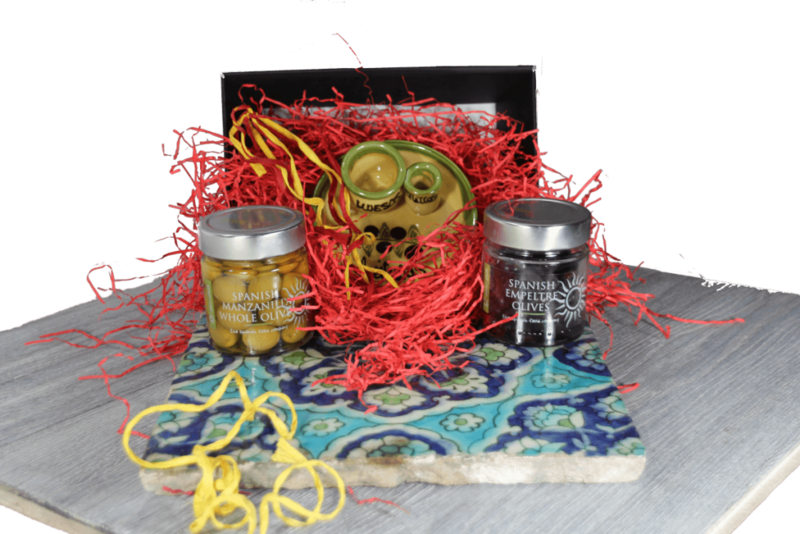 An ideal gift for the foodie in your life - a jar of our finest whole green Manzanilla and whole black Empeltre olives with a hand-painted terracotta olive dish. 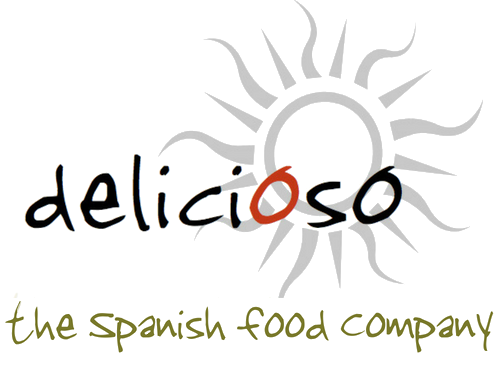 Our firm, juicy olives are produced by Jose Lou in Spain, a company renowned for their excellent quality. 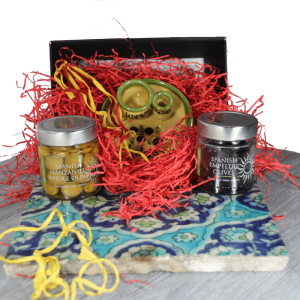 Left whole to maintain their full flavour, these olives make for a fabulous snack and can be eaten alone or used to complement a broad range of dishes. Rich in antioxidant and anti-inflammatory nutrients, olives form an essential part of the healthy, Mediterranean diet. 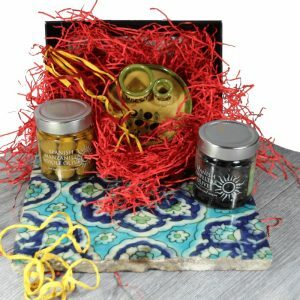 To serve these olives the gift pack contains an ornate, traditional hand-painted terracotta olive dish, complete with pots for cocktail sticks and stones. 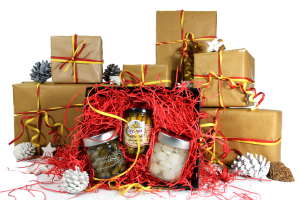 The gift pack is beautifully hand prepared and presented in a lidded card tray and tied with raffia - the perfect gift for any olive enthusiast! As with all our products we can dispatch directly to your friends and family. To include a gift message simply indicate in the comments box during checkout. NUTRITIONAL INFORMATION per 100g: Green olives: Energy 646 kJ / 156 kcal, Protein 1.29g, Carbohydrates Less than 0.5g, of which sugars less than 0.5g, fat 15g, of which saturates 3g, salt 3g. Black olives: Energy 1315 kJ / 320 kcal, Protein 1.9g, Carbohydrates Less than 0.5g, of which sugars less than 0.5g, fat 33g, of which saturates 5.25g, salt 3.85g.